Spring is almost here guys... 8 more days! It's been nicer for the past couple of days, and it has felt so, so good to ditch the winter jacket in favor of a lighter, springier, version. I bought mu utility jacket last summer, and didn't really get much of a chance to wear it in the Fall. Oh, and Peanut has her own matching version, which I'm kinda jealous of because hers has a hood, and mine does not. Boo. Sadly, neither of our versions are currently available, but there are some similar styles, more options for the toddler set than us big people! 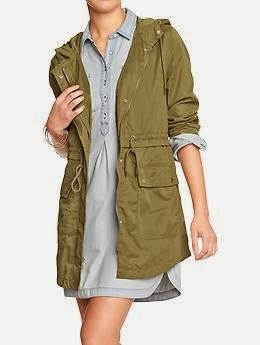 more utility jackets... I'm really LOVING the pink! 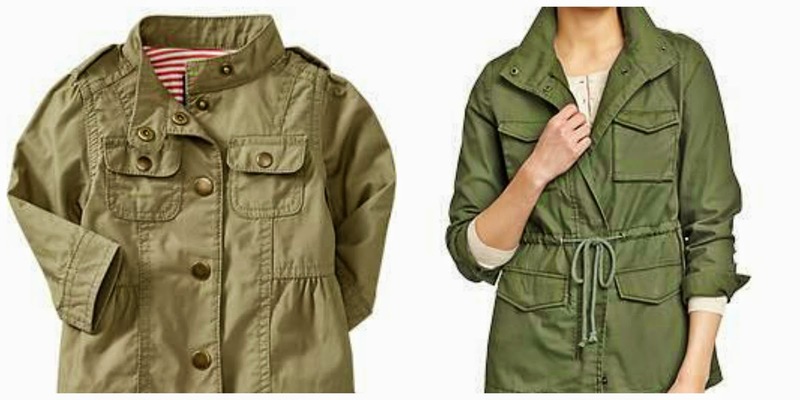 But that's okay, because I've been drooling over this jacket for a couple months now. It's just difficult for me to pull the plug considering what I've got is soooo similar. I prefer a style that sits lower than waist level, so it's kinda hard finding options that fit my criteria. I'm a huge fan of open and flyaway cardigans, so it just works with the layering that I do. Like I said, I got our jackets during summer last year, and they were both on sale, decently discounted, too. My coat was around $18 and Peanut's coat was $14. I remember hers specifically, because it was almost half off original price, and that's what made me jump on purchasing it! Haven't regretted buying either one, in all honesty! And speaking of shopping... it's my birthday, so I've been trying to find something to treat myself to allllll day, but my inner shopaholic is either on vacation or just totally asleep. The lemmings are there and everything... I know I have pins and wishlists galore... but I'm just not really feeling it at the moment. Exactly why is is that the lemmings are so urgent when I'm not in the mood to look/spend, but when I am... zilches to be found. 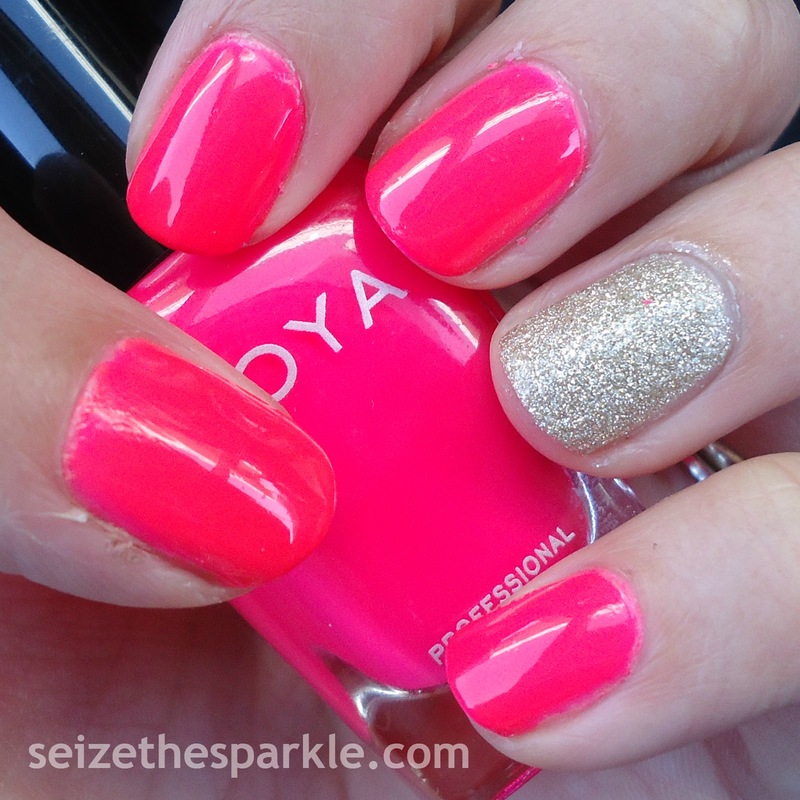 My CyberShot did a really good job of capturing the neon glory of Ali by Zoya. I don't feel like I always give it enough credit. Rather, I tend to put it on blast when it doesn't capture teals or purples accurately. I've toyed around with the idea of purchasing a new camera, or asking for a new camera, but on days like today, I'm reminded that I don't really need one. One thing I think I can justify purchasing is another Otterbox for my iPhone. My hot pink one is sadly showing signs of wear and tear. Not to mention that the buttons require serious muscles to push. Oh, and I had to take out the protective cover that came with it. My last Otterbox was a little darker, and I think that helped to minimize the wear and tear a little bit. Boo hot pink cover. Boo. 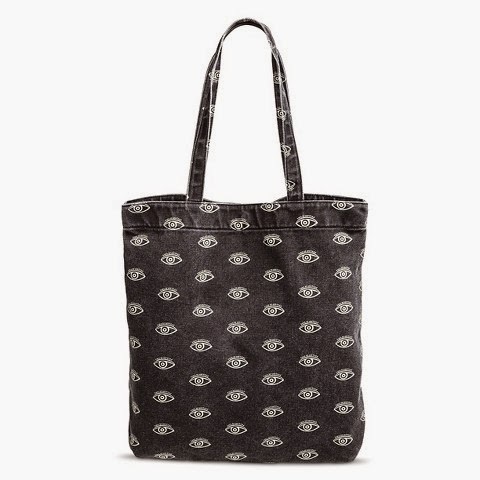 Went to Target with my Mom last week and finally found a canvas tote bag that I really like... Not too expensive, and the great part? It's a distressed dark denim, so it won't show anything if, per se, a little Peanut would spill her juice all over it. Or anything else. There's so many ways for a toddler to "decorate" your things! It has little eyes all over it, which I absolutely love! Constantly makes me think of Nos Animadverto Totum... Abbreviate that and you've got the NAT club from Pretty Little Liars. One of the many mysteries the show has yet to explain! You can expect my musings on 5x23 in the next couple of days. I'm kind of glad the season finale is coming up, because I need a mental break from theorizing. There are so many questions to sift through, and I really feel like we need some more answers before we're all truly on the right track. Target was definitely going through a transitional period while we were shopping last week. Not a whole lot of clearance items, but not all the spring/summer items. Slim pickings in the shoe department, but I did spot these sandals for Peanut... I didn't pick them up, and they're not really practical, but Easter Basket, maybe? I picked up these two, and am seriously contemplating going back for more. Definitely Bronze Champion... because I'm not sure I own anything like it that isn't a crackle. 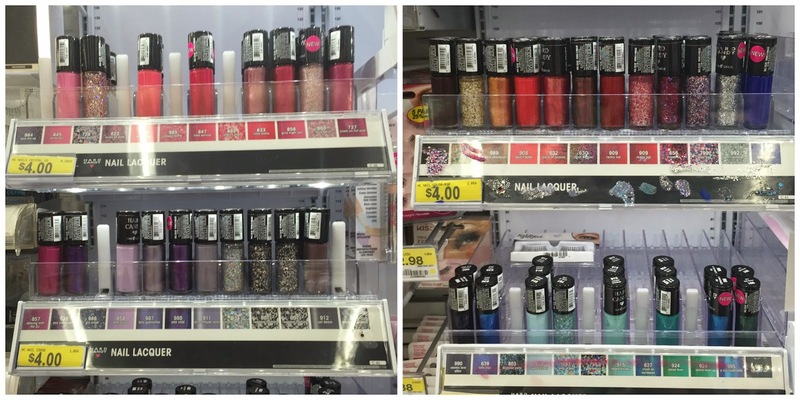 I'm hoping the display is fully stocked when I go back too! In other news... my sister is coming to visit this weekend, and we are going to celebrate our Birthdays together, on the 14th of March, for the first time in aaaaaaaaages. Her birthday is on the 16th, so our celebrations were usually lumped together on the 14th, making it a ginormous occasion. I mean, I seriously called it my half-birthday for thee longest time! So... I'm not really sure what she has planned, but I definitely am looking forward to some sister bonding, perhaps wine drinking, and definitely nail painting. And cake. Can't forget the cake! If you follow me on Instagram, you've probably noticed a whole bunch of selfies containing a lot of my hair, and the hashtag J'adore Dessange. If you haven't... follow, follow, follow! Anyhoo... through Influenster, I'm testing out the Oleo Miracle Replenishing Collection from Dessange Paris. 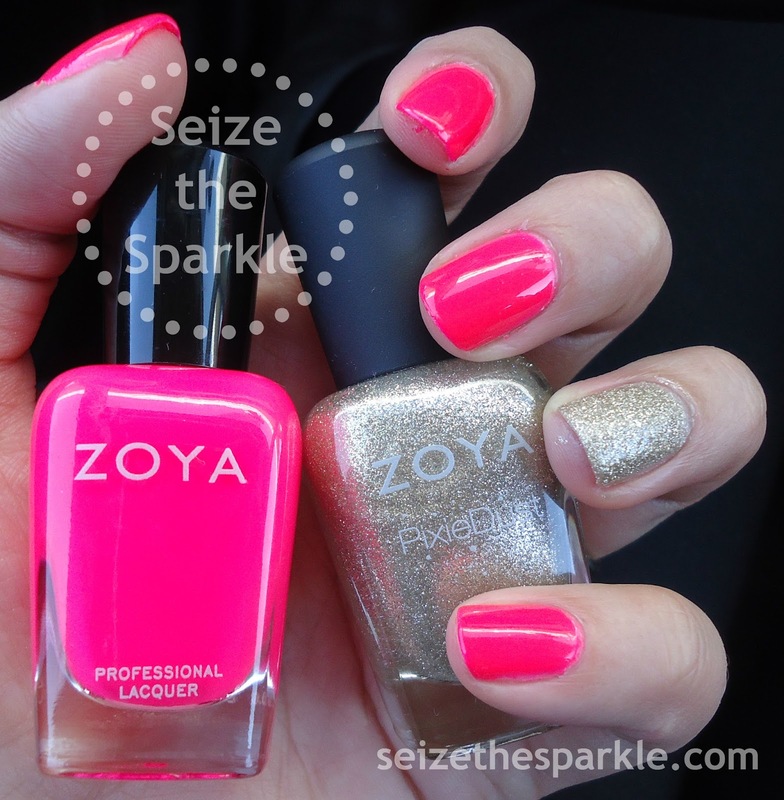 It's a new-to-the-US brand, and I couldn't be more excited to give it a try! Once I've finished with the testing portion, I'll be reviewing it here, so stay tuned for that. In the process, I've definitely learned that my selfie game is not as strong as I thought it was. Aaaaand I'm coming to the realization that I might be a victim of RBF. Help me guys... tips, tricks, anything? I seriously need them! ...aaaaaaand last, but most certainly not least... have you entered my Jackpot Candle giveaway? 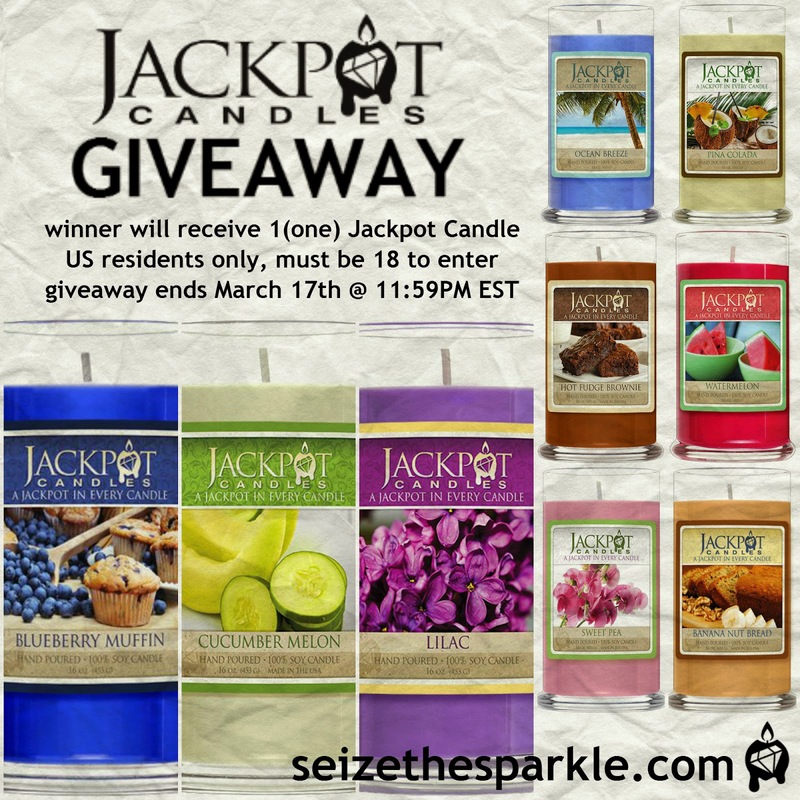 You can enter up to 10 times for your chance to win a Jackpot Candle in your choice of scent! There's only 5 more days left... click here to enter!!! I think that's about it... Happy Thursday... Happy almost Spring... Happy one more day 'til the weekend, and Happy, Happy Birthday to me!